​When we say we have a holistic approach to horsemanship, it is truly serious business. We help you look inward and outward about yourself, your ambitions, where you thrive and where you need work. 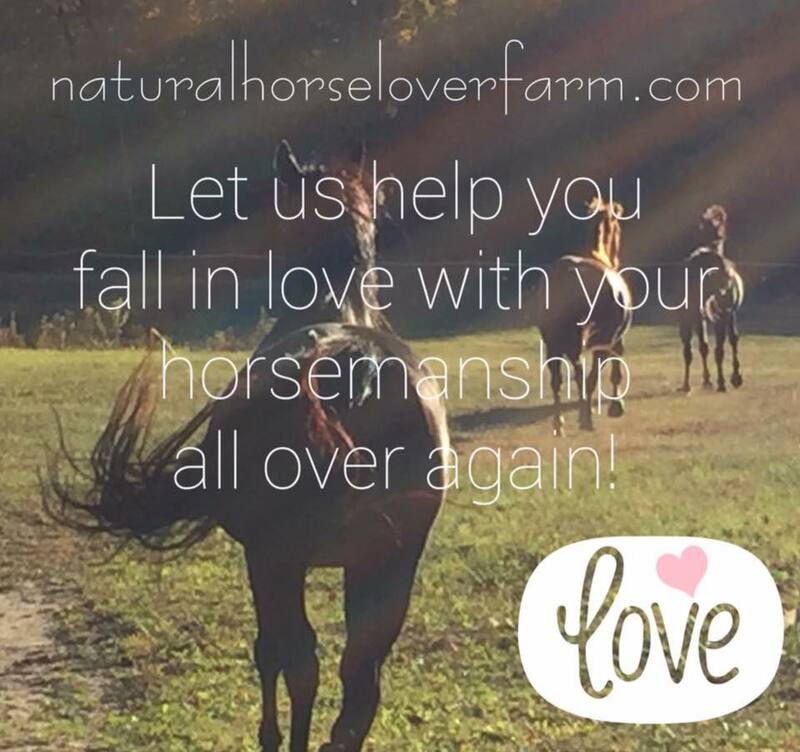 We work with you to discover your passion and help you fall in love with your horse and yourself. We talk about energy and intention, you learn and language of the horse, you learn to love, you gain leadership skills vital to your journey, you learn how to have fun and meet your goals, and do much more. Book and appointment or consultation and learn, grow, and change with support!! ​love, communication, and guidance activities. learn and participate in the fundamentals of care, the language of horses through games and puzzles played with the horse, natural horsemanship techniques, horse psychology, and more. tasks on the farm depending on the needs and desires of the client. Lesson plans created to meet the specific needs of each client. This is not a riding program. ​read our disclaimer at the bottom of the page. Workshops, clinics, and classes vary and are listed below. If you are looking for something not on the roster, please place a request and we will accommodate you to the best of our ability. These opportunities are held for 4-8 people to create an intimate and successful active learning experience. Short term boarding is available for participants needing an overnight place to house their horse. Fear can be debilitating and seem to come out of nowhere. Sometimes a simple fall causes fear, other times it is just watching something happen, it can even occur because you’ve disengaged with your horse for no other reason than your schedule. Unfortunately this can cause embarrassment, avoidance, and other symptoms that can ruin your horse time and relationship altogether. Join us and take your horsey lifestyle back! Learn to understand what fear is and what it is not, contexts of fear or lack of confidence, how to work through your anxiety, create an action plan to improve and change your confidence in horsemanship. ​This workshop is a small, intimate, non-judgmental opportunity for you to start enjoying your horse again. You will deconstruct your fears, understand the psychology of you and your horse, and apply your new strategies with your horse! Fear can be debilitating and seem to come out of nowhere. Sometimes a simple fall causes fear, other times it is just watching something happen, it can even occur because you’ve disengaged with your horse for no other reason than your schedule. Unfortunately this can cause embarrassment, avoidance, and other symptoms that can ruin your horse time and relationship altogether. Join us and take your horsey lifestyle back! Learn to understand what fear is and what it is not, contexts of fear or lack of confidence, how to work through your anxiety, create an action plan to improve and change your confidence in horsemanship. ​Spend three hours with us and start getting your confidence back! This workshop is a small, intimate, non-judgmental opportunity for you to start enjoying your horses again. You will deconstruct your fears, understand the psychology of you and your horse, and walk away with strategies for moving forward. When working with horses and around the farm, there are different kinds of knots needed. Many of us have fallen into the same old rut using that one knot we learned as kids in the barn even though sometimes they need to come loose easily and other times you need them to hold, all having unique applications. Join us for this hands-on workshop and learn about the knots to know. Learn general horse nutrition, feeding management, hoof care, general health and immunizations, facility design, equipment, basic management tools, and more! When working on the horse-human relationship, it is vital that you can communicate and understand one another to make the partnership work. This is key in any discipline and at all level. During this horseless workshop, you will learn the general types of horses as well as your own personality, how to connect the two, and so much more! This event will help give you insight to the psychology of horses and humans, allow you to you restructure and advance your horse-human relationship, and improve your success with horses. We will give demonstrations of different types of horses and allow for hands-on, in-hand work with our horses. Participants may bring their own horse but it is not required. Appropriate for all disciplines and levels. Join us and learn how to connect with your horse! When working with horses and around the farm, there are different kinds of grooming needs. Learn tips, tricks, and techniques at this hands-on workshop! ​Skill development, knowledge, goal setting, and reflective thinking are keys to success. This 7 hour, hands- on, active learning clinic focuses on connecting with your horse covering confidence and horsemanship, how to get started or restart, horse psychology, leadership strategies, tools, techniques, how to be imaginative, and more! Bring a horse or come solo, you are certain to have fun! ​Take your knowledge and communication to the next level by participating in this hands on clinic. Bring your horse or play with ours. You will discover in real time, the differences in horses and their psychology, learn how to be creative, how to build on the tools and techniques in natural horsemanship, gain confidence, and more. Join us and learn to understand what fear is and what it is not, contexts of fear or lack of confidence, how to work through your anxiety, create an action plan to improve and grow your confidence and horsemanship, understand your horse from a psychological perspective, and learn strategies and skills to improve the relationship with your horse. This clinic offers 6 hours of lecture including hands on exercises, 6 hours of instruction work with your horse (groundwork and riding) with the cohort. Spend relaxing and entertaining time with your horse at our farm working on ground tasks and riding competencies at our beautiful farm with your friends. This unstructured play date is one where activities are suggested but you may spend your time as you wish. This is not an instruction or demonstration event. To learn more about our facility amenities, please visit our About Us page.